All our rooms are elegant, comfortable and bright: designed for total relaxation. 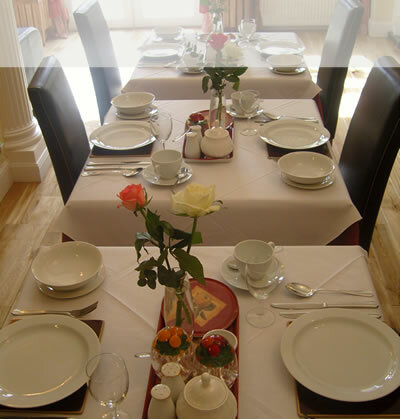 We have a selection of twin, double and family rooms. Amenities include satellite TV, trouser press, radio alarm clock, hairdryer. Our rooms are cleaned and brought to a high standard of comfort each day. Breakfast Conservatory: Breakfast is served in our breakfast conservatory which leads you through french doors into our patio garden. Wherever you are in the world porridge is synonymous with the Scots breakfast.